Los Angeles, CA-September 2017… Composer and sound designer Steve Mayer relies on a wide variety of sound sources for his game, TV, and film work. He often uses a mixture of hardware synthesizers and virtual instruments when creating sounds for Leapfrog, Disney, and Ubisoft games, and composing theme music and underscores for HGTV, MSNBC, the E! Network, ABC's High School Musical, and Disney's Mickey Mouse Clubhouse. However, Mayer does not rely on synths alone. "I always like to add some sort of live acoustic element to my tracks," he notes. 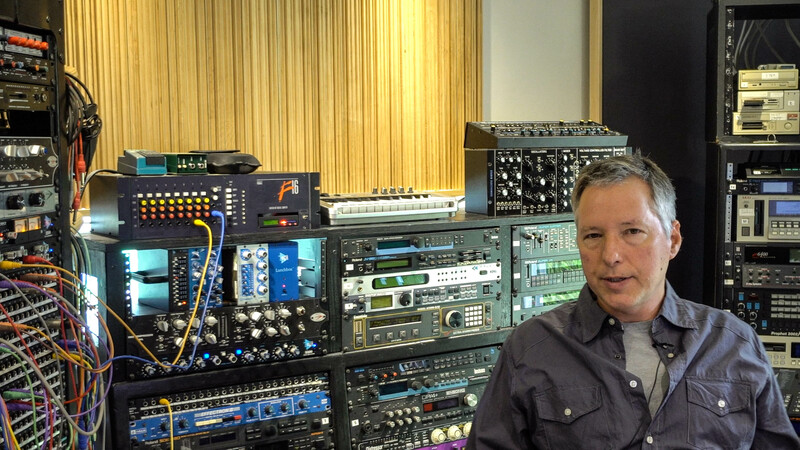 Adding those acoustic elements often means recording outside of his main studio space, a process that got a lot easier when he acquired a TASCAM iXR audio interface for iOS, MacOS, and Windows. "Now I have much more flexibility," he asserts. "For example, I have an acoustic piano in my living room that I really like the sound of, and the living room has high ceilings and terrific reverberation. I've always wanted a way to record tracks on the piano and bring them into my projects. Since I got the TASCAM iXR, that has become a lot easier. It's bus powered, so I can just connect it to my laptop - no messing with a wall-wart power adapter." In addition to Mac and Windows support, TASCAM's iXR USB 2.0 audio interface features direct connection to iOS devices using the Lightning connector. With MIDI I/O, balanced stereo outputs, two XLR/¼-inch combo mic/line inputs, and TASCAM's premium low-noise HDDA preamps, it delivers the I/O and features Mayer needs. "The iXR has a great combination of features in a small, affordable package," he confirms. Along with its features, the iXR's portability is a major plus for Mayer. "The iXR has a nice, compact form factor - I can shove it in a backpack, along with my iPad, and go anywhere," he explains. "With Apple Logic on the iPad and the iXR, I have a totally portable studio and sketchpad. Also, I've got lots of virtual synths but some are only available on iPad. The iXR's direct connection to iOS devices lets me integrate the iPad-based VIs into my studio workflow." As much as he appreciates the iXR's portability and features, Mayer wouldn't be such a big fan of the interface if it didn't deliver the high quality audio he requires. "It's a great sounding box," he attests. "It does an excellent job capturing the sound of my piano and other acoustic sounds, as well as playing back synth tracks and mixes. The HDDA preamps sound terrific, and the converters are very clean. My projects involve a wide range of frequencies and sonic textures, and the iXR records up to 24-bit, 96 kHz audio very accurately, including the most subtle details. I like that it's lightweight and portable, and it's certainly affordable, but I absolutely love that TASCAM didn't compromise on the quality."